Hello ... Hello ... my old friends ... It's great to see you once again! You really do never know what is around the corner! A couple of days ago, I was contacted by a gentleman named Geoff Burrows, who is now the proud owner of two  classic rhythm guitars formerly owned by and used by ELO Part II co-founder Pete Haycock. He purchased both items following Pete's tragic death in October 2013. 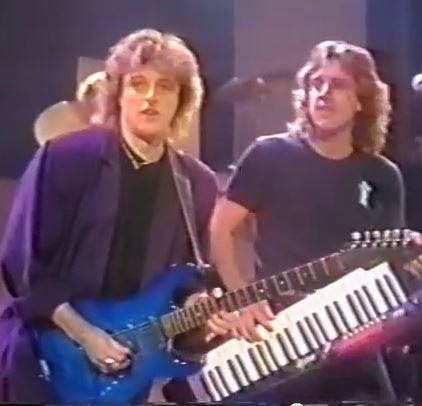 Both the Sunburst Alpha and Blue Jordan were used in Pete's recordings and live performances with the band between 1990 and 1992, including the famed UK concerts with the Moscow Symphony Orchestra in 1991. 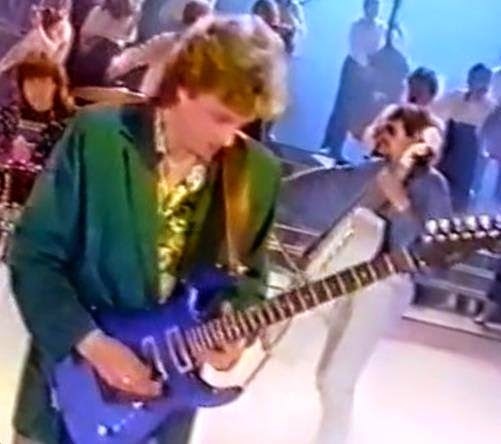 Both guitars can be seen in the official music video for "Honest Men", live footage on German TV channel ZDF and/or the official ELO Part II/MSO video release [Telstar #TVE1037]. Geoff told me that even now, the Blue Jordan [which has a carbon neck and no truss rod] still tunes beautifully, has superb intonation and is more playable than any of the Gibson or PRS guitars in his collection. Like this writer, Geoff still rates Eric Troyer's classy composition "Honest Men" highly and learned the guitar solo from ELO Part II's only charting single, obtaining the same sound as both the recording and live shows via his Marshall rig. Geoff is presently seeking out new opportunities with a function or classic pop covers [including, of course, ELO] band after having left his previous outfit before they became Before The Dawn [a very good Kate Bush tribute act] and can be contacted via his Facebook page.